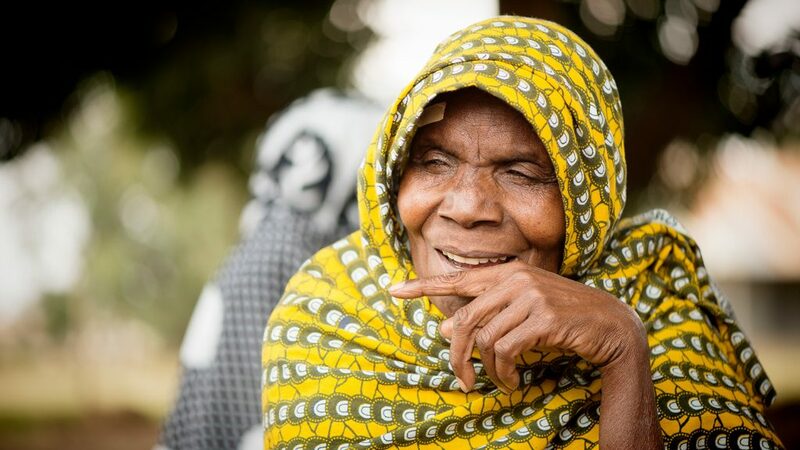 Sightsavers has been changing lives and restoring sight worldwide since 1950. Schoolboy John Wilson is blinded by an explosion during a school chemistry lesson. In the next decade, he goes on to study law at Oxford University and gets a job at the National Institute for the Blind. 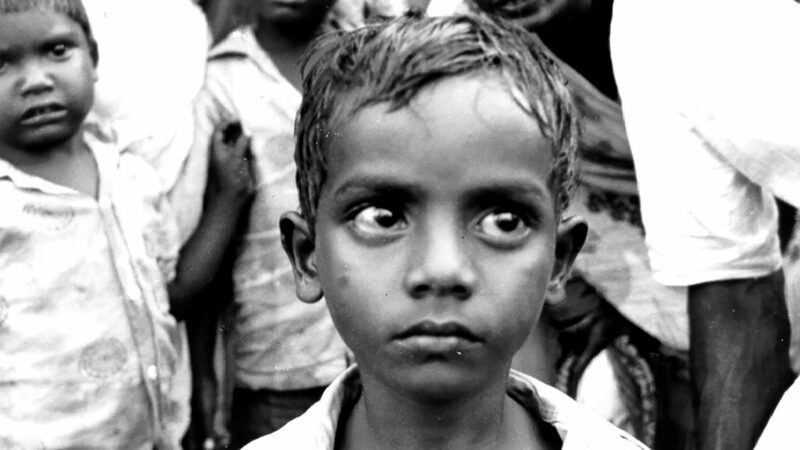 A young boy in India in the 1940s. John embarks on a nine-month tour of Africa and the Middle East, and is shocked at the scale of blindness and the conditions in which he finds blind people living. He returns to the UK determined to do something about it. 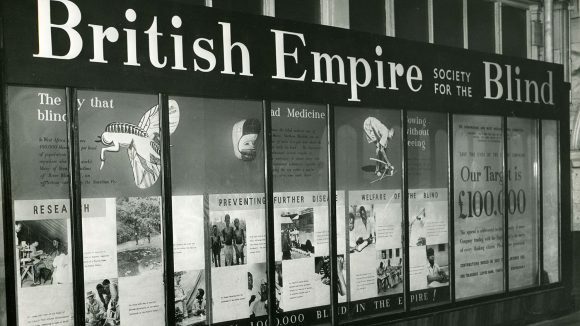 Sir John founds the British Empire Society for the Blind – the original name for Sightsavers. In its first year, the society forms national organisations for blind people in six countries, concentrating on education, rehabilitation and welfare. 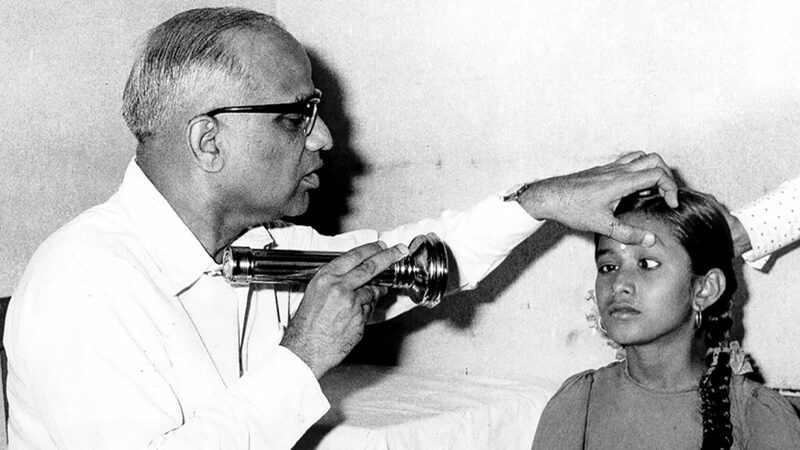 A doctor examines a girl's eyes in India in the 1950s. 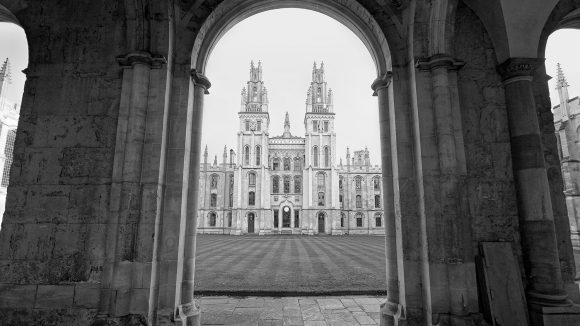 The organisation changes its name to the Commonwealth Society for the Blind and is given royal status by the Queen a year later, becoming the Royal Commonwealth Society for the Blind (RCSB). A team from the RCSB climbs Mount Kilimanjaro, accompanied by seven blind men from Kenya, Uganda and Tanzania. The aim is to encourage blind children to go to school by demonstrating what they can achieve, and marks Sightsavers’ first inclusive education project. 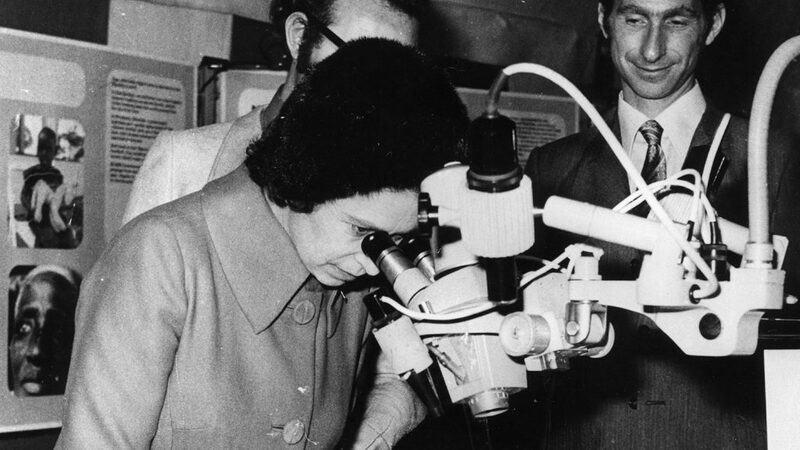 The Queen visiting Sightsavers' office in 1971. The organisation moves from London to a new head office in Haywards Heath, West Sussex. The Queen attends the ceremony and officially opens the new building, named Commonwealth House. 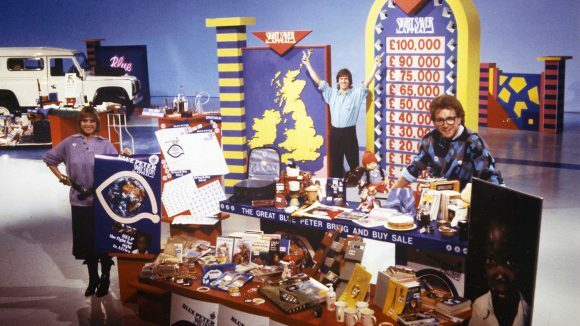 Children’s TV programme Blue Peter launches its ‘Sight Savers’ appeal, raising more than £2 million for eye care across Africa. 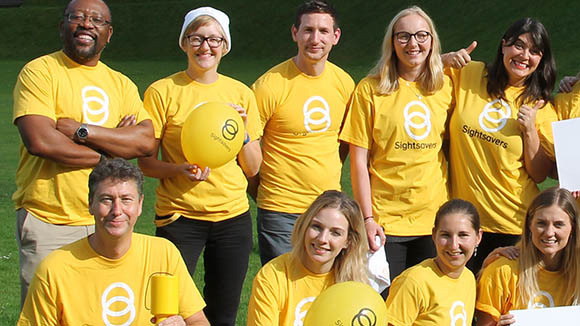 The Royal Commonwealth Society for the Blind subsequently adopts the title Sightsavers. 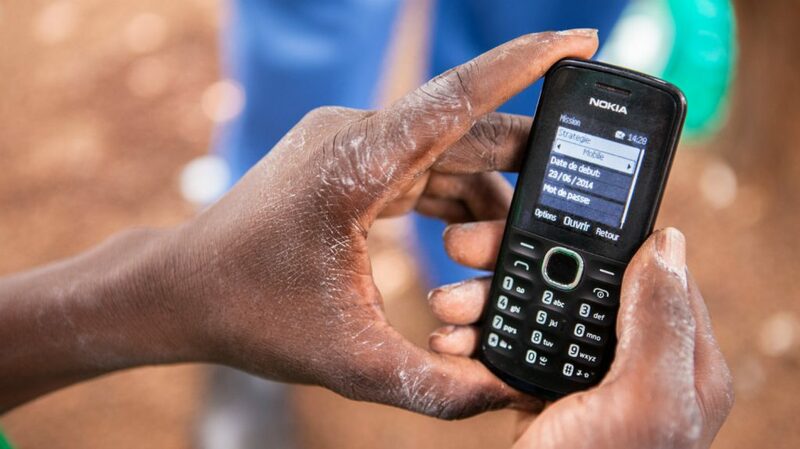 A mobile phone being used to collect data. 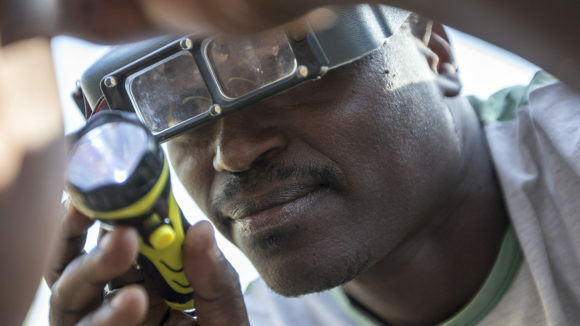 Sightsavers leads a consortium to set up the Global Trachoma Mapping Project (GTMP), which uses mobile phones to collect and transmit data about the spread of trachoma. The project was completed in 2015. Sightsavers launches its first policy campaign, Put Us in the Picture, calling for global development to be inclusive of people with disabilities. 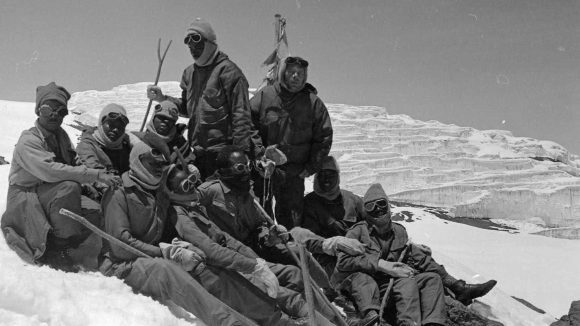 Successes include a 20,000-signature petition being delivered to 10 Downing Street, and a photo exhibition being displayed in London, Dublin and New York. A community worker from Sightsavers' NTDs campaign. 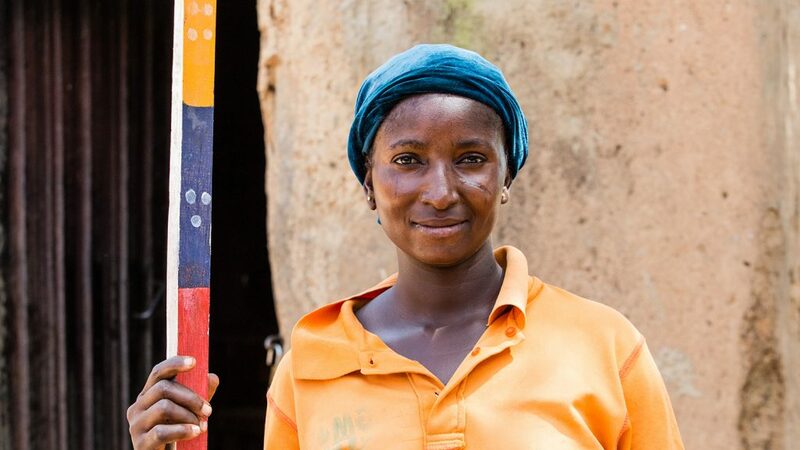 In December, Sightsavers celebrates its one billionth treatment for neglected tropical diseases. On average, 4.59 treatments are distributed every second.